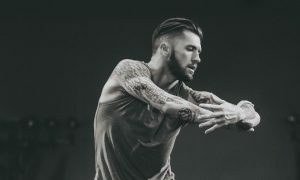 What do you get when you put dance’s finest instructors and choreographers, leading competition directors and dance stars like Dave Scott, Maddie Ziegler, Liz Imperio and Mandy Moore on the same stage? The Industry Dance Awards! 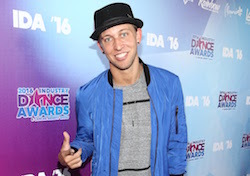 Matt Steffanina arrives at the 2016 Industry Dance Awards and Cancer Benefit Show. Photo By John Salangsang/Sipa USA. 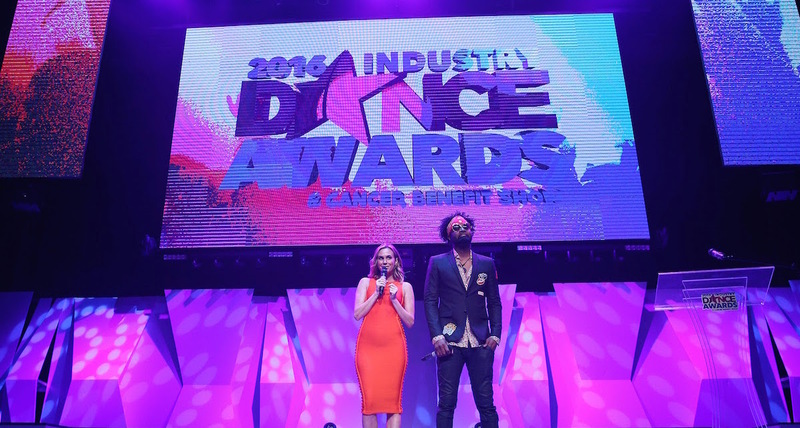 The 2016 Industry Dance Awards and Cancer Benefit Show were held at Hollywood’s Avalon Theater on August 17. 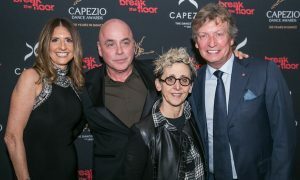 Hundreds of the industry’s best got together to rub shoulders, celebrate this year’s achievements and raise money for Dancers Against Cancer, a charitable organization that provides financial support and inspiration to dance educators, choreographers, dancers and their families who have been impacted by cancer. 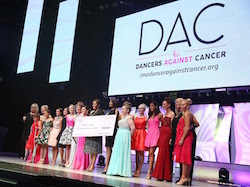 The Industry Dance Awards supports Dancers Against Cancer. Photo By John Salangsang/Sipa USA. Hosted by the ever-entertaining Keltie Knight and Dave Scott, the evening was part awards delegation and speeches, part performances, part cancer benefit. 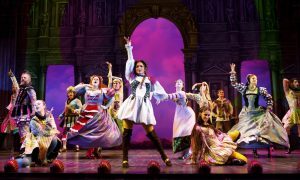 Awards were given to industry icons like Chita Rivira and Liz Imperio, as well as proud studio owners and choreographers, highlighted for their best pieces from the competition season. For the first time, an Australian dance studio was also highlighted. Village on Broadway was nominated for a People’s Choice Award, with Jacqui Howard in attendance, all the way from Sydney. The evening was a mix of what’s amazing about our industry – our creativity and our compassion. Syncopated Ladies brought down the house, as well as 25 of Steffanina’s hottest young dancers and gorgeous, young cancer survivor Valory Newton, who didn’t let losing her leg stop her from dancing. 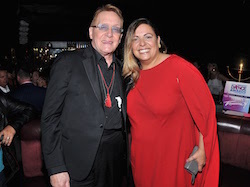 The inspiring Liz Imperio, who was honored with the Role Model Award, was passionate about supporting the event. Joe Tremaine and Liz Imperio backstage at the 2016 Industry Dance Awards. Photo By Sthanlee B. Mirador/Sipa USA. September is Childhood Cancer Awareness Month, and you can continue to support Dancers Against Cancer by becoming a Hope Studio. Each official Hope Studio has pledged to raise at least $1,000 in support of Dancers Against Cancer. So far, altogether, Hope Studios have raised over $100,000 for the cause! Just visit imadanceragainstcancer.org for more information. Photo (top): Hosts Keltie Knight and Dave Scott inside at the 2016 Industry Dance Awards and Cancer Benefit Show held at the Avalon in Hollywood, CA. Photo By John Salangsang/Sipa USA.